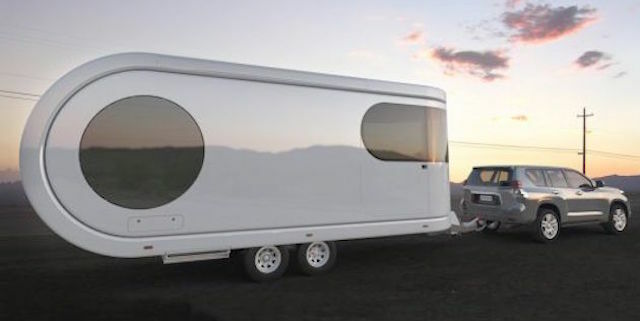 A Christchurch company’s innovative design for a revolutionary caravan received scant media coverage in New Zealand when the concept was unveiled in 2012 – but now the world wants to know about it. 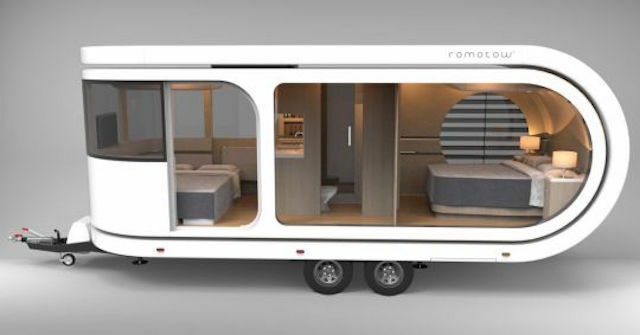 Lifestyle websites in Britain, Germany and the USA are calling the ‘Romotow’ the first real reinvention of the caravan in more than 50 years. Over the past six years Romotow has pretty much been a virtual reality production only, a caravan come to life on a computer screen. But now the real thing is nearing completion at a factory in Tauranga. W2 has secured an international patent to go with the NZ licence for the Romotow, which is designed to fit in a regular campground lot. Winterbourn said he and Wilkie were “inundated” with inquiries when they showed the concept at a recreational vehicle (RV) trade show in the USA in 2015. They were on the lookout for a potential manufacturing partner in a market where the 900 RV companies in the USA generate a combined annual revenue of around US$11 billion. The Romotwo caravan incorporates a living area that, at the push of a button, swivels out from an exterior shell, adding up to 70 per cent more living space as well as a covered outdoor section complete with fold-out barbecue. A double bedroom in the back sleeps two adults, a living room sofa can be adapted to sleep two others, and both kitchen and bathroom are fitted with stylish fixtures. Other features include a lightweight, fuel-efficient build, power-assisted braking, pneumatic shock absorbers, a windbreak, sliding doors, louvred windows, easy clean furniture, and integrated sound system. Romotow – an amalgamation of ‘room to move’ – is said to be more aerodynamic than a conventional caravan, making it easier to tow. Wilkie, an interior designer, and Winterbourn, a structural engineer, started W2 in suburban Sydenham in 2007, offering residential and commercial design services. The February 2011 earthquake created strong demand for the firm’s services in structural assessment and demolition work, which has largely driven its growth.